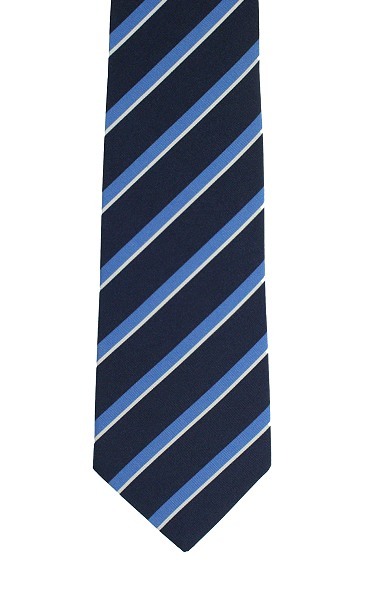 An elegant Atkinsons navy blue Irish poplin tie with a light blue & white diagonal striped pattern in a matt finish. This premium necktie adds a touch of class to any man's wardrobe. It is both high quality and durable and with a traditional design will last many years.